Fantastic Wines at great prices—get them while you can! Smooth and elegant, our 2013 Carneros Pinot Noir unfolds in opulent layers of wild berries, ripe Bing cherry and Burgundy plum. As it is swirled in the glass, the wine evolves to reveal complex hints of mineral, teaberry, cinnamon and vanilla. Wine Spectator Fresh and finely detailed, with ripe raspberry and dark blackberry notes backed by fine tannins and hints of wild flower, tobacco and cherry pit. Score: 90. —Nathan Wesley, April 30, 2013. WE 93 Pts - According to Wine Enthusiast - This Merlot-based blend is a huge success. It’s a big, tannic, tight wine, packed to bursting with black cherry liqueur, cola and spice flavors. Yet it maintains an exciting balance! Wine Spectator: 91 Points. Wine Spectator 2016 Top 100 wine #52. A thick texture carries plum tart, orange peel, toasted vanilla and anise flavors in this ripe version, balanced by juicy acidity. Malbec's origins as a blending grape and the core of the sometimes rustic wines of Cahors are quickly becoming forgotten as the grape becomes solidly associated with Argentina. A beautiful, brilliant color with golden hues show that Vignot evolves faster than Lassgue. The nose conjures up dark fruits with a hint of toast, notes of licorice and a mineral overtone. In the mouth, the wine is well balanced ! Supple-textured, ripe, rich and fleshy, with spice, currant, black cherry and wild berry fruit that's well-proportioned, drinking easily already. Firms up nicely on the finish, where the tannins have just the right touch of grip. Wine Spectator 93/100. The 2008 Amplus One is made up of 75% Carmenere, 20% Syrah, and 5% Carignan. 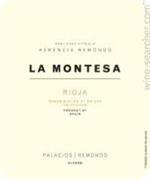 It displays aromas of damp earth, balsamic, herbs, blueberry, and black plum. On the palate, it reveals some elegance, savory flavors, good volume, and a bit of structure. 90pts Robert Parker. “Santa Rita’s purple-colored 2006 Triple C is a blend of 65% Cabernet Franc, 30% Cabernet Sauvignon, and 5% Carmenere. It offers up a bouquet of pain grille, pencil lead, cinnamon, sage, thyme, blackcurrant, and blueberry. 95 points, James Suckling (Jul 2016) Dark plum, chocolate, cloves, licorice and new leather give the 2012 much of its opulent, full-throttle personality. Ripeness is pushed to the edge in the Biserno, a wine built on serious extraction. 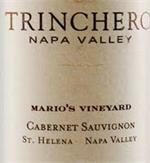 The 2007 Cabernet Sauvignon Mario’s Vineyard (from a 13-acre parcel on St. Helena near their new winery) is 100% Cabernet Sauvignon. This densely purple wine is youthful, but displays a big, sweet kiss of spring flowers and forest floor. Wine Spectator 2016 Top 100 wine #42. 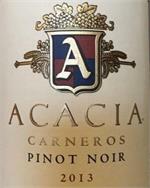 Score: 90 There's minerally freshness to the ripe dark plum, blackberry and cherry flavors, with peppery hints. Walt Pinot Noir Gaps Crown 2015 Gap's Crown Vineyard is located in the heart of the Petaluma Gap area of the Sonoma Coast Appellation. Gentle slopes and rocky soils produce wines of great depth and richness.